It might not have been a match that anyone expected, but its result is adorable. 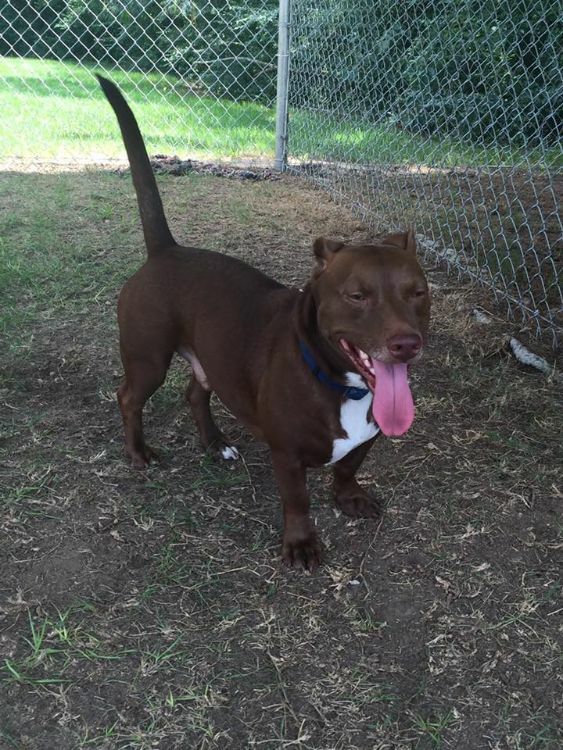 Meet Rami, a dog with an incredibly unique heritage: he is the offspring of a stocky, broad-chested pit bull and a stubby-legged lithe dachshund. 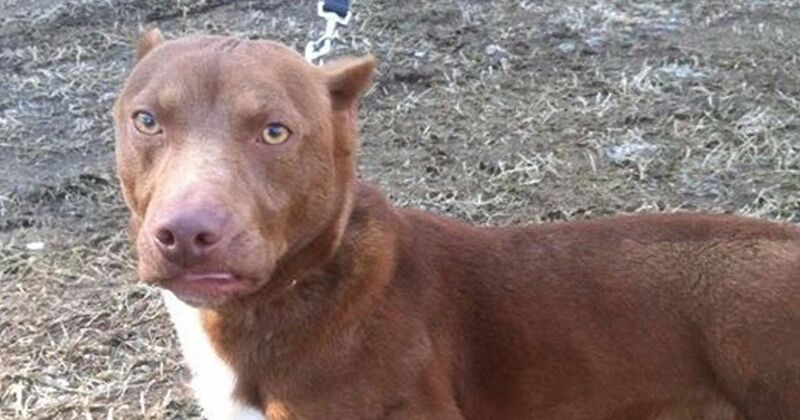 This peculiar-looking dog was found in a backyard in Georgia with no home to call his own. Rami was transported to the nearest animal shelter, and the shelter's first post introduced him with: "Hi! I'm Rami and I'm looking for my forever home. I'm full of energy. I don't like walking on a leash." Keeping reading to see photos of this unique dog. Once Rami's picture, featured below, was posted on the shelter's website, it had over 2.4 million hits within a day. Adoption offers poured in from around the world. His videos, like the one below, went viral, and his unusual parentage made him famous. 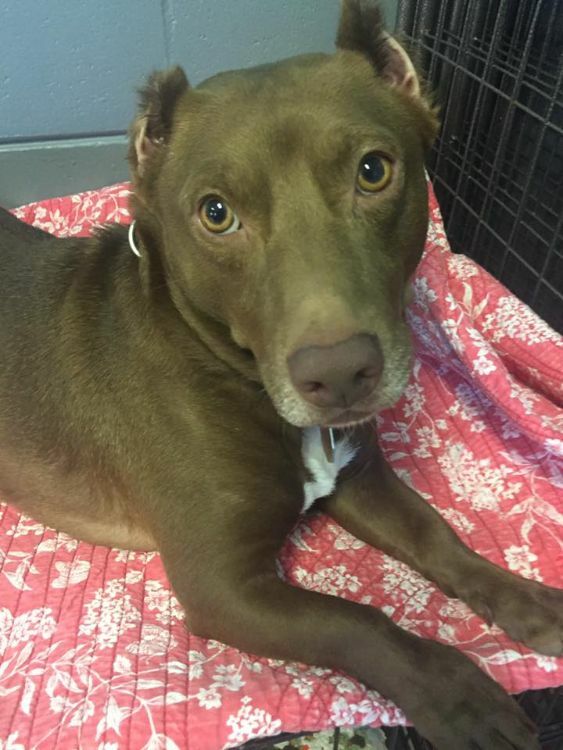 "It is a true pit bull head on a dachshund body," said Dawn Blanton, director of the Moultrie-Colquitt County Humane Society. Despite the many adoption offers submitted for Rami, the Society determined that Rami's fame had given him a new purpose in life. The Society was concerned with making sure that Rami went to the right home, and that he wouldn't be treated like a freak of nature. So the Moultrie-Colquitt County Humane Society decided to keep Rami and appoint him as a shelter ambassador. These days, Rami stays busy as both shelter ambassador and as a therapy dog for feral canines that the Humane Society is called in to locate and assist. He is paying forward the love and care he has received so he can help other dogs who are as lost and lonely as he was once. Follow Rami's good works on his Facebook page with 7,900 followers, and help Rami out by visiting your local shelter to donate, volunteer, or give an animal a loving home. So what should we call Rami? A pitshund? A dachbull? How about just calling him beautiful! Here's hoping that Rami has many happy years ahead as a wonderful representative of his extraordinary species: the dog. Share Rami's story and mission on Facebook with your family and friends!